The Green Bay Packers saw their season come to a disappointing close with a crushing 26-20 overtime loss in the NFC Divisional Round of the playoffs against the Arizona Cardinals. If nothing else, it solidified a concern that the team’s fans and followers have felt all season — their holes at wide receiver. Prior to two miraculous heaves by two-time league MVP Aaron Rodgers to Jeff Janis late in the fourth quarter, the Packers were a team grasping to stay alive in the contest against the Cardinals without any essence of a passing game. The root of this problem doesn’t lie in the running game (or with Eddie Lacy’s inconsistency), but the lack of a standout talent in the receiving core after losing Jordy Nelson for the season. It was hoped that Randall Cobb could be that guy, but he struggled for much of the season with that responsibility recording 40 or fewer receiving yards in 10 games, especially disappointing after coming off of the best year of his career, posting personal-best numbers across the board with 91 catches for 1,287 receiving yards and 12 touchdowns that helped him earn his first Pro Bowl selection. Veteran wideout James Jones had a strong start in his return to the team, but disappeared during stretches of the season while dealing with injuries. Davante Adams had much hype surrounding him heading into his second year with the opportunity to become the team’s second primary passing target, but he struggled catching the ball hauling in just 53.2% of his targets while dropping six balls, which was 12th worst in the league. He also dealt with injuries that limited his production and availability, including missing the Divisional Round game against the Cardinals due to a sprained MCL in his right knee. The team had also lost rookie wideout Ty Montgomery in Week 6 due to an ankle injury that required season-ending surgery. All of this forced the team to rely on a depleted wide receiver group that had unproven players such as Janis and Jared Abbrederis in prominent roles that they weren’t necessarily ready to take on. Rodgers was still able to put together another strong campaign with 3,821 passing yards along with 31 touchdown passes to only eight interceptions while posting a 92.7 quarterback rating — an impressive showing, given the team’s instability at wide receiver throughout the season. 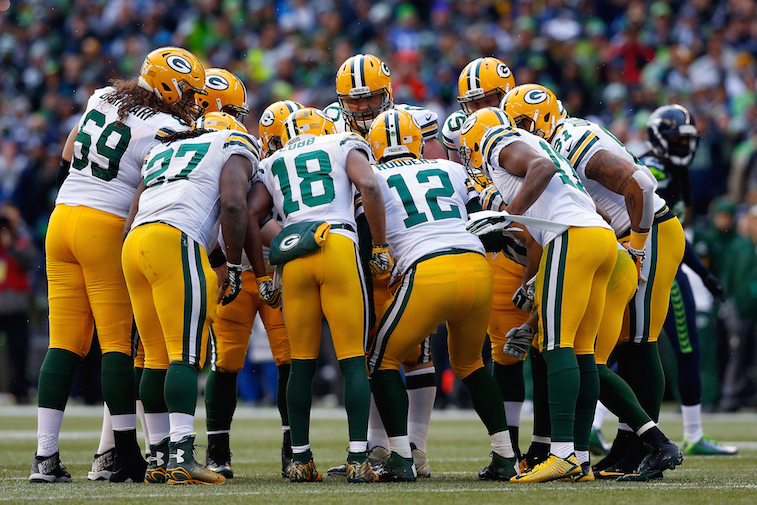 However, what the 2015 season signals more than anything else is the need to address the position to avoid another difficult and often frustrating offensive year for Rodgers. There could be light at the end of the tunnel for the Packers as they are expected to have roughly $23 million in cap space, which is a number that should take a slight dip with notable players such as B.J. 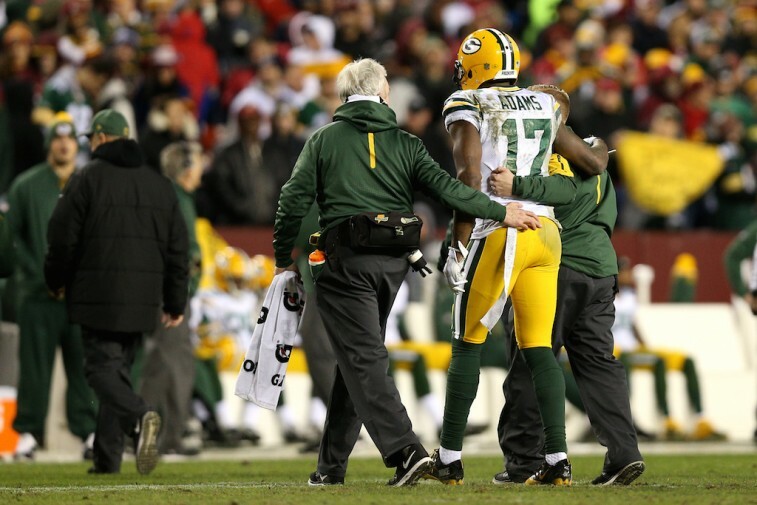 Raji and James Starks both scheduled to become free agents. This should still leave the team with enough cap space to be an active player in the free agent market to pursue some of the top names at wide receiver. The Packers may not have to look any further than their NFC North division rival Chicago Bears in Pro Bowl wideout Alston Jeffery, who will become an unrestricted free agent this offseason. He may not be the most polished receiver, but he’s a definite upgrade for the Packers as a legitimate deep-ball threat that could be a match made in heaven combined with Rodgers’ strong and accurate arm. This is not to mention that he’s put together two seasons with 80-plus catches, more than 1,100 receiving yards, and at least seven touchdowns in each campaign. Another name that could draw attention this upcoming offseason depending on his situation with the Detroit Lions is Calvin Johnson. The star wideout is set to count for more than $20 million in cap space next season, which has the Lions possibly considering moving or releasing him if he’s unwilling to rework his current contract. If things don’t work out in Detroit, the Packers could sneak in and grab the six-time Pro Bowler if he doesn’t retire. He’s still one of the game’s best wideouts coming off his sixth consecutive season with at least 70 catches, 1,000 receiving yards, and a third straight campaign with more than eight touchdowns. There are several other viable receiving options in free agency such as Travis Benjamin, who is coming off a career-best season with the Cleveland Browns posting 68 catches for 966 receiving yards and five touchdowns. He could be had at a reasonable price over multiple years. Marvin Jones of the Cincinnati Bengals will also be available this offseason after putting together one of his best seasons with career highs in catches (65) and receiving yards (816) with four touchdowns. All in all, the Packers will have plenty of options available to them in free agency this upcoming offseason. It’s just a matter of putting forth the effort to improve a big area of need.